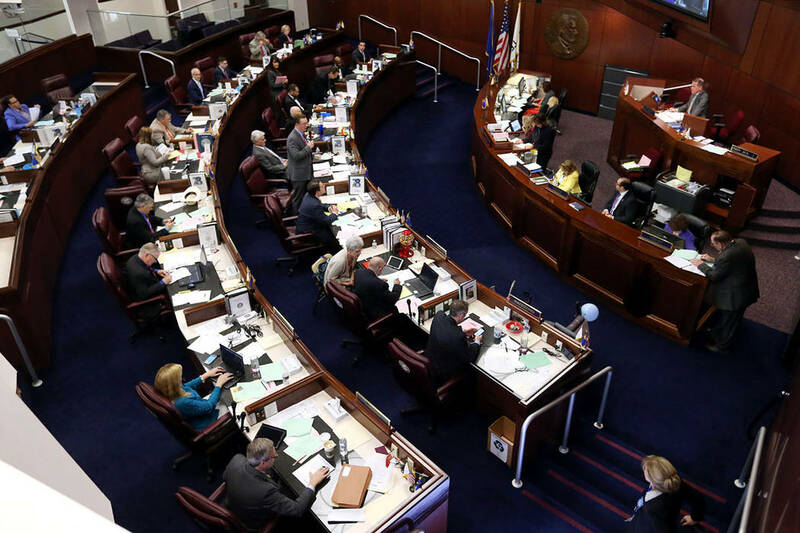 A proposed rewrite of Nevada’s abortion laws has been revised to leave in place existing parental notification requirements for minors while still amending informed consent provisions and removing from statute outdated criminal penalties. A proposed rewrite of Nevada’s abortion laws has been revised to leave in place existing parental notification requirements for minors while still amending informed consent provisions and removing from statute outdated criminal penalties that in some cases are more than a century old. Revisions to SB 179 also leave in statute the criminal penalty for concealing a birth of a child who died by disposing of the body, which is classified a gross misdemeanor. The bill with its revisions was heard before the Senate Health and Human Services committee Monday, drawing the customary groups of abortion rights advocates and abortion foes to testify for and against. The section of the original bill that struck parental notification requirements “was removed because the intent of the bill was to deal with decriminalizing antiquated statutes related to abortion,” Sen. Yvanna Cancela, D-Las Vegas, the bill’s prime sponsor, said during a break in testimony. She later told the committee that some of the existing laws the measure would strike date to 1911 and appear never to have been used in a prosecution. The bill ends the informed consent requirement that a physician certify in writing that a woman has given written consent for an abortion, along with also certfiying the woman’s age and marital status. The informed consent provision instead could be met via signature by the woman and her doctor. The bill still removes statutes related to abortion that have been invalidated by court rulings. Other laws that criminalize abortions not performed as legally prescribed or that force people to testify in such cases also would be repealed. The committee did not vote on the measure on Monday. Contact Bill Dentzer at bdentzer@reviewjournal.com or 775-461-0661. Follow @DentzerNews on Twitter.